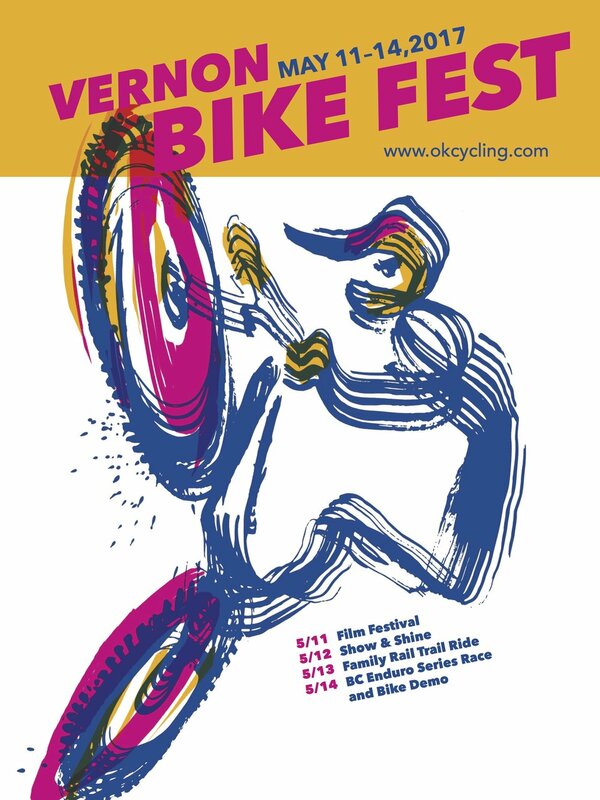 Thanks for your support of a successful Vernon Bike Fest this year! We will update this website when we have plans to announce for 2018. Whether you live here or are coming from out of town, we want to spend the weekend celebrating all things biking and the amazing trails in the North Okanagan! BC Enduro will be here, with practice on Saturday and races on Sunday, but we will be filling up the whole weekend with activities. NOCS will be screening the Trails in Motion Mountain Bike Film Festival. Trails In Motion Mountain Bike Film Festival is an annual, community-driven film tour that brings a collection of the finest mountain biking films to audiences around the world. The goal of Trails in Motion events is not only to ensure the audience leaves with a true sense of shared inspiration that will ultimately encourage them to go out and discover their own connection with the world's seemingly endless network of single-track, but also to support aspirant and professional filmmakers expand their limits of film making. The Program is approximately 2.5 hours long, and we will have some local short videos playing before the Program starts at 7:00PM. Come on out for a social night of celebrating bikes and live music from Chipko Jones (Reggae, Calypso, Roots). Enjoy house made Ratio pizza, cash bar with craft beer, local wine and BX Cider! This event invites bike lovers to show off their unique, vintage or just plain old awesome bikes while listening to some great live music. Ratio coffee will be catering the event with a delicious assortment of hors d'oeuvre, and their beverage menu will be available for purchase. This will be a great social event bringing people downtown. You can purchase tickets at this link. NOCS will lead a group family ride on one of Vernon’s newest multipurpose trail. The group ride will bring together the mountain bike community as well as those who enjoy a more casual ride along the lake. NOCS’ partner bike shops will be offering demos of the their bikes to the community. Bike demos are a great way for new riders to get introduced to all the different bikes out there before they make their purchase.